Prison arts partnership a "transformative journey"
A long-standing partnership, recognised when it was presented the Big 'A' Community Partnership Award 2011 at the Big 'A' Awards ceremony in Parliament this week, has been described as "transformative". Arts Access Aotearoa applauds the partnership between Mairangi Arts Centre on Auckland’s North Shore and the Department of Corrections for its far-sighted vision in utilising the arts as a tool to support the rehabilitation process. 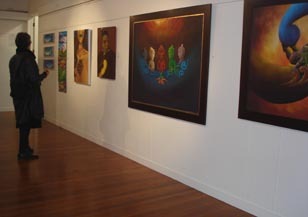 In a statement made at the second InsideOut exhibition of prison art at Mairangi Arts Centre in May 2011, Mary Borok, Sector Development, Arts and Culture North, Auckland Council described the partnership as "a transformative journey for both the community and the prisoners". Through these exhibitions, prisoner art is being viewed by new audiences as well as the gallery’s 600 members, the families of prisoners, Department management and staff, local politicians and Auckland Council staff. Much has been accomplished by the two organisations in just three years. This includes two InsideOut contemporary visual art exhibitions (2010, 2011), a number of commissioned installations of whakairo (carvings) for Massey University, Murray’s Bay Intermediate School, Gisborne Primary School, the North Shore District Court, and the Sir Peter Blake Marine Education Research Centre. 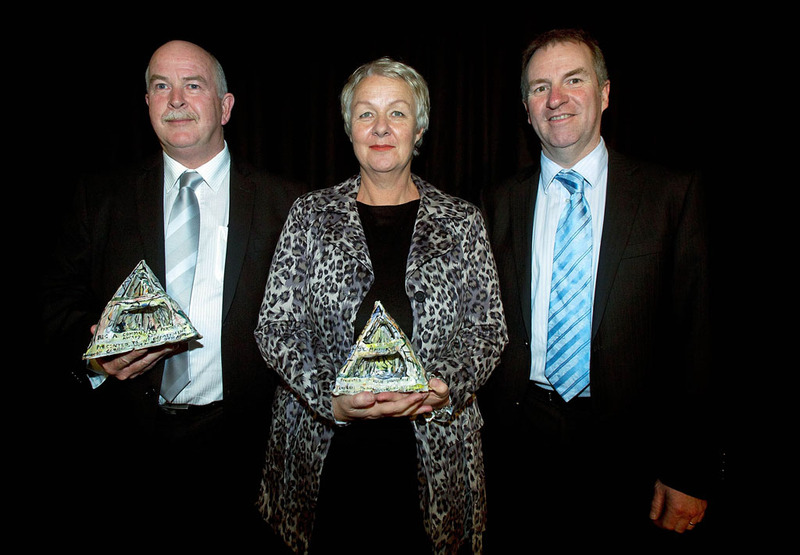 At the heart of this relationship are Ellie Drummond, General Manager, Mairangi Arts Centre, and Mark Lynds, Contracts and Services Manager of the Northland Regional Corrections Facility in Kaikohe and Auckland Prison. Mark Lynds has actively championed prison art as one of a number of rehabilitative tools for nine of the 21 years he has worked for the Department of Corrections. 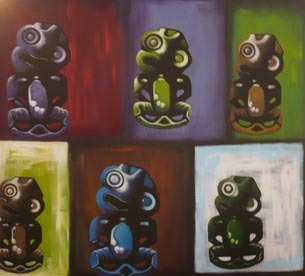 In his role as Programmes Manager at Auckland Prison in 2007, he was able to provide new direction for the work of Auckland artist and lecturer Robyn Hughes. As art tutor, she influenced significant art development at Auckland Prison for 16 years until she left in 2010. This influence is evident in the design, masterful painterly skill and use of colour in the works of the more established artists. As a result of the success of the first InsideOut exhibition, Ellie Drummond – General Manager of Mairangi Art Centre, artist and prison art tutor – delivers art classes to between eight and 15 men in Auckland Prison each week. She is passionate about the genuine self-esteem and worth that is rebuilt in these men through a successful artmaking process. Currently, she says, a body of work is being completed for the visitors’ room with five or six works already completed. “Prisoners take a great pride in that work especially when their families come and see it,” Ellie says. Three former prisoners who have been involved in the partnership have continued working as artists since their release. Their decisions to make life changes for themselves and their families have been supported in a practical way through the partnership. There are other developments for prisoner artmakers at Auckland Prison. They gain firsthand knowledge about mounting exhibitions, negotiating commissions, managing arts projects, receiving a client’s brief and meeting it, and working to production timeframes. So what does it mean for the gallery’s 600-member audience to be engaging with the work of prisoner populations? Ellie says that with the first exhibition, the centre had no understanding of the impact the exhibition might have on audiences and so they were cautious. However, the first exhibition was an unexpected success. A year later, there was even more support for the partnership. Mairangi Arts Centre’s goals in the partnership are well met. These are to provide gallery space; promote the sale of prisoner art to benefit charities; and encourage tolerance and understanding of artistic skills developed in the prison environment. “The gallery has long fingers into the community, and strong networks and support that encourage this development,” Ellie says. Original generation time 1.5630 seconds. Cache Loaded in: 0.0005 seconds.